Cooking can be messy—with all the pans, utensils, and ingredients you bring out to get the job done. It helps when you have a spacious countertop or an extra island where you can place some of your essentials, but what if you only have a narrow space to work with? When it comes to maximizing a tiny cooking area, it’s important to prioritize non-negotiables like allotting space for the main work areas, your appliances, and having enough storage. “In a small kitchen, you need to follow the work triangle where you prepare, wash, and cook. 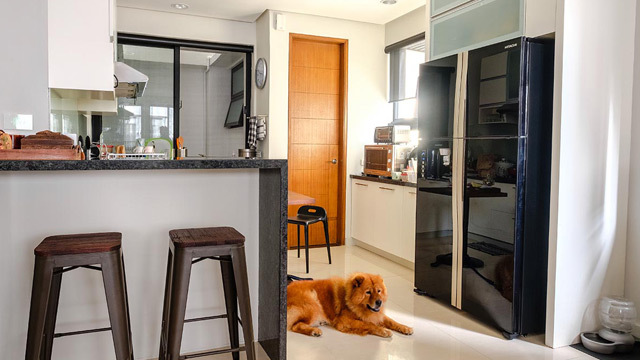 There’s no ideal layout, you just need to have all the elements and arrange it in such a way that follows an efficient flow,” says interior designer Cathy Cena-Yambao. 1. Make sure all important elements are present. “You need to have a cooktop, a sink, a prep area, and storage,” she shares. 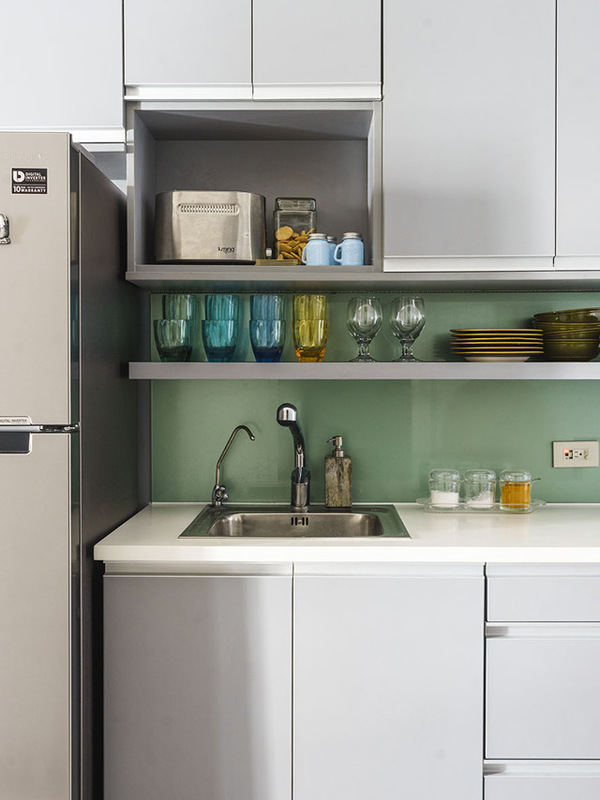 Make the most of the available countertop by keeping it free from clutter. As much as possible, store your belongings inside cabinets, maximize shelves, and organize your drawers. 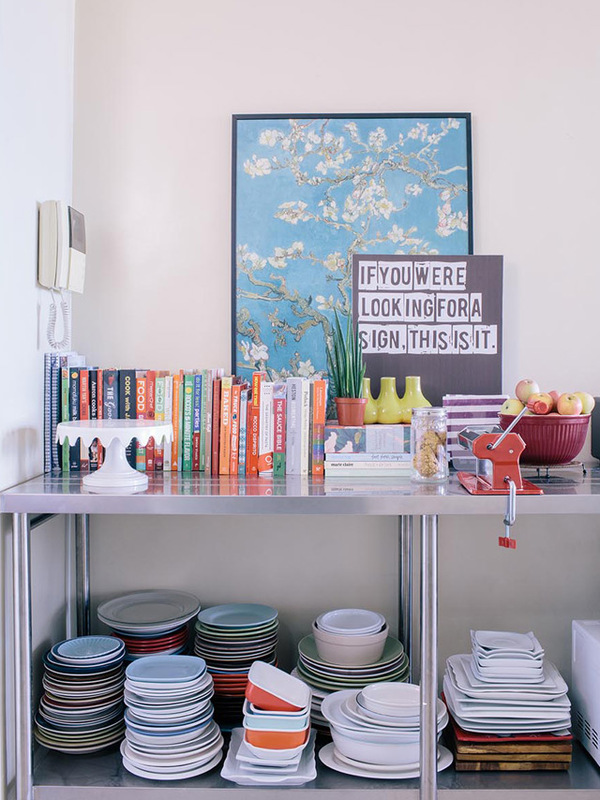 “You need to have spaces where you can keep pots, pans, plates, and utensils. It’s important that you maximize the available vertical space and that you make use of the nooks you can get,” Cathy advises. Open shelves and overhead cabinets can be installed to maximize blank walls. Cute dinnerware and décor can liven up shelves. If you love collecting pots and pans, make sure these are neatly arranged inside the cabinets. One of your overhead cabinets can even function as a mini pantry where all your ingredients, emergency snacks, and secret treats are stored. “Even if you don’t have shelves, you can use wire ware and hooks to make use of wall space,” the designer adds. Stainless steel containers and mini metal bins can hold cleaning supplies and extra utensils. RL Tip: If you have an unused corner in the kitchen, you can add a mobile cart where you can keep some of your appliances and cooking essentials. 3. Opt for small appliances. 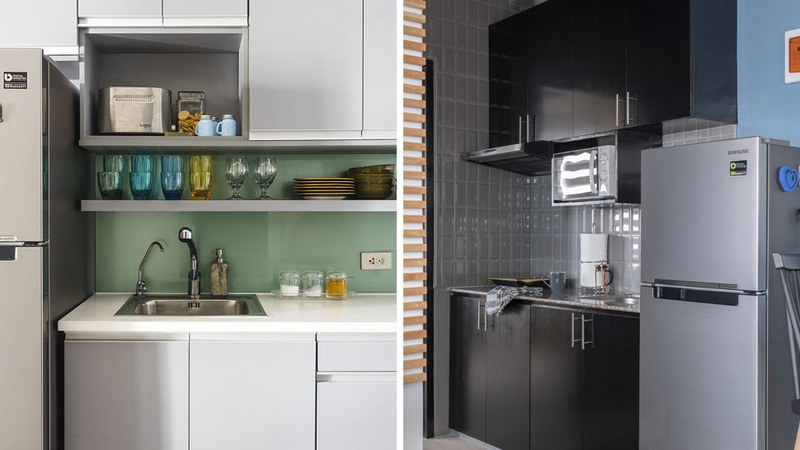 “In a tiny kitchen, there are preferred appliances like compact ones that are available in the market and made for condo kitchens," says the designer. Invest in essentials that can fit inside cabinets like a small rice cooker, coffeemaker, and a blender. Instead of buying a stove, consider getting an induction cooker to save on space. “There are also retractable range hoods that you can save up for. You can pull it out only when you need it like a drawer,” Cathy adds. 4. Work with light colors. “Pick light colors and those that are cool to the eyes. Kung pwede, go for reflective materials as these open up the space and bounces light off. It makes the space brighter and elegant,” says Cathy. Colors like light blue, green, and neutrals are safe choices you can consider. Of course, you’re free to work with dark colors as well, just make sure you pair it with light-colored accessories for a balanced look. 5. Be open to using alternatives and be mindful of your budget. Cathy says it’s possible to achieve an efficient and beautiful kitchen even if you have a limited budget. 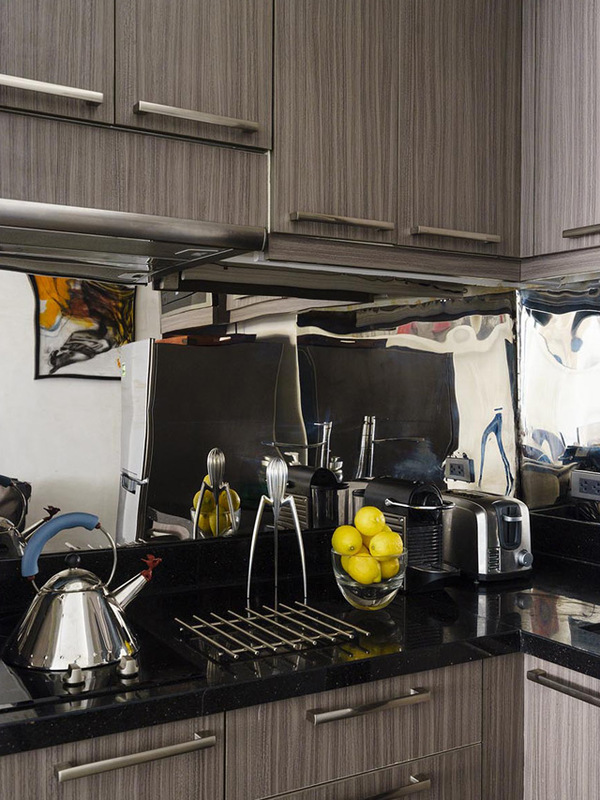 “As an alternative to expensive materials, you can use tiles for your countertop. Instead of having modular cabinets, you can ask a trusted carpenter to make sturdy cabinets using marine plywood. You can also paint your cabinets rather than spend money on laminates,” she explains. RL Tip: If you’re unsure about the next step you need to take in improving your cooking area, it’s always best to consult with a professional. Get in touch with interior designer Cathy Cena-Yambao through email at catherinecena[at]gmail.com or contact her mobile (0917) 861-6011.